Meetings are held the second Tuesday of each month at 7:00 p.m. (no meeting in December). Unless otherwise notified meetings are held at the Fair Park, Rotary Commitee Building, Canfield, Ohio. Directions: Rte. 46 to Kirk St. (sign shows Fair Park), turn on Kirk St., Left on Oak St. and right on Fair St. Parking is in the back. Guests are welcome to two of our meetings, then are encouraged to become members of the Knitting Guild of America (TKGA) and the Western Reserve Knitting Guild (WRKG). WRKG dues are $15 which includes newletters and yearbook and are due by the August meeting so your name can be included in the yearbook. ($7.50 if you apply after Feb. 1st.) WRKG dues are payable to the WRKG treasurer. 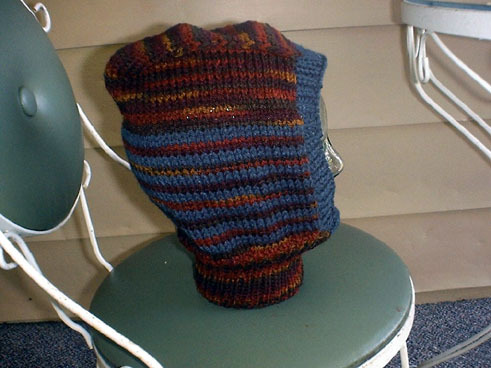 Click here for more information about The Knitting Guild of America. 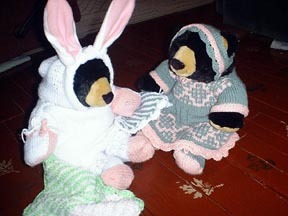 Keep on dressing our bears, girls! Children's Services is thrilled to receive them. 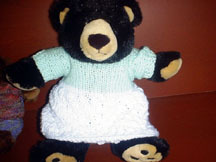 We need dressed bears for the children treated at the Child Advocacy Center in Youngstown. Big or small bears, they will be loved by the youngsters. Please bring any completed bear to the meeting and get another. 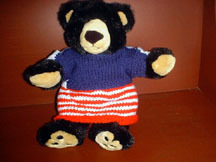 We have several different sizes and styles of bears for you to choose from. Below are some free sweater patterns online. 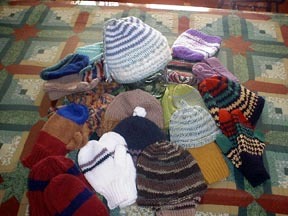 Our current total as of the November meeting for Caps for Kids hats is over 260 hats !!! Way to go girls!! This year the caps provided by members will be sent to Head Start in Mahoning County and 50 caps went to Columbiana County Head Start. Let's continue the challege from last year, a cap a month from each of us. Patterns will be provided off and on through out the year. Click here for a roll brim hat, and a hat with a brim. 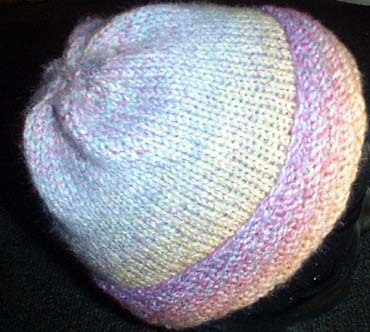 Click here for a cute cabled hat. 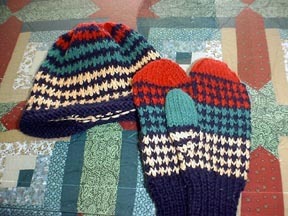 Many hat patterns can be found here. 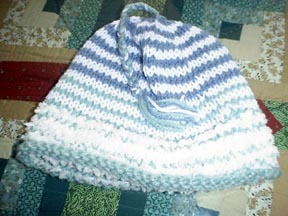 A helmet type hat and a baby hat pattern can be found by clicking here. Caps for Kids webpage can be found by clicking here. For more Caps for Kids patterns, click here. For information about the Western Reserve Knitting Guild or to add something to our newsletter, Click here. Much of the clip art and the animated GIF's at this site are from the wonderful artist who can be found by clicking below! Thank you for sharing Annie!